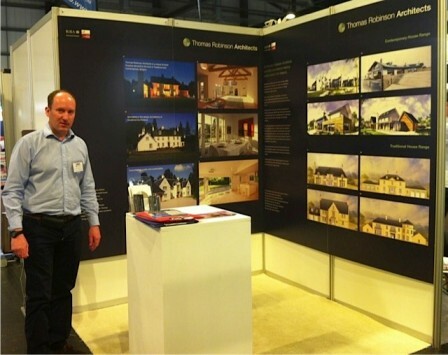 Many thanks to all who visited Thomas Robinson Architects' stand at the Scottish Homebuilding and Renovating Show held at the SECC in Glasgow over the weekend. Once again it was an excellent opportunity to showcase the versatility of this practice and we were encouraged by the strong interest from people considering larger traditional style properties. It's been a hectic week, with Fiona Robinson and Natasha Houchin attending a very informative conference organised by the Church Buildings Renewal Trust entitled " The Church and The Community: Energy". Held in Stirling Baptist Church, the event focused on the energy challenges facing church property in the current climate, with the emphasis on a low-tech, common-sense approach to reducing energy use. Speakers included Brian Park from Page Park Architects, Natalie Redford from Light Bureau and Roger Curtis from Historic Scotland.